TalesAlongTheWay | Life's journey to discover tales of history, culture, and faith from New York to India and places along the way. July 4, 2017 is an Independence Day we will never forget. That is why I chose it. All eleven of the the family were in Cambridge UK at the American Cemetery to celebrate the life of my oldest brother George, a paratrooper in the 82nd Airborne Division, who jumped in the early hours of June 6, 1944. He was wounded at the battle for La Fiere Bridge in Normandy, and died on the ship back to England. He was 20 years young. I was not born until two years after his death. As the last of my immediate family, I feel a responsibility to pass this story of our family’s hero to my children and their children. I heard the other day that it takes 3 generations to forget history. I am doing all I can to insure that my grandchildren will both know and remember our history. I have quite a few tales to tell as I share the steps my family took starting in Normandy and then to Cambridge. I hope this will encourage each of my readers to keep their own heroes and everyday family members and their stories alive by repeating tales to family today, recording, and preserving them for the generations to come. http://www.AParatroopersFaith.org Visit to learn more. Conflict with Pakistan and media-savvy supporters have boosted the Indian prime minister’s prospects. India’s 900 million eligible voters head to the polls in an election staggered over six weeks starting April 11. With nationalist sentiment surging after a confrontation with Pakistan, and the opposition in disarray, an outcome that appeared uncertain a few months ago looks exceedingly likely: Prime Minister Narendra Modi, leader of the Hindu nationalist Bharatiya Janata Party, is poised to win a second term. 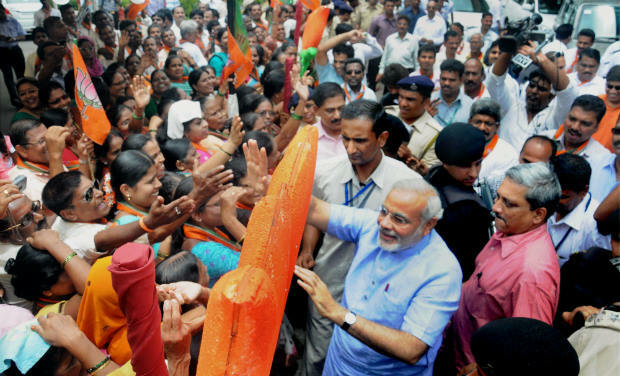 Opinion polls and anecdotal evidence suggest Mr. Modi remains popular. Many Indians believe the BJP is fulfilling its promise of economic renewal, military prowess, corruption-free governance and restored national greatness. Concerns about Hindu-nationalist attacks on government critics, human-rights groups like Lawyers Collective and Amnesty International, and religious minorities—especially Muslims—do not appear to resonate beyond a small English-speaking urban elite. So far, opposition Congress Party President Rahul Gandhi—the son, grandson and great-grandson of prime ministers—has failed to emerge as a credible contender. None of this guarantees victory for Mr. Modi. Fifteen years ago another BJP-led government looked similarly poised to romp to re-election, only to suffer a shocking defeat to the Congress Party. Mr. Modi’s popularity notwithstanding, the BJP remains a marginal presence across large swaths of southern and eastern India. This leaves Mr. Modi’s party little room for error in its traditional strongholds in the north and west. Still, the smart money remains on India returning Mr. Modi to office, albeit as the head of a coalition with fewer seats than before. Five years after Mr. Modi led the BJP to India’s first single-party majority in 30 years, his image as a selfless and self-made leader is largely intact. In more than two dozen interviews I conducted in Delhi and the populous Hindi heartland state of Uttar Pradesh, respondents spoke of the prime minister’s “good character” and sincere desire to improve India. 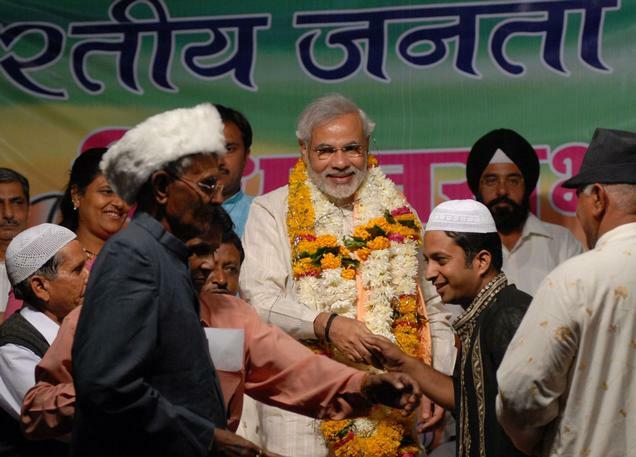 For some Hindu voters, he holds a quasireligious appeal. An Uber driver from the industrial city of Ghaziabad likened Mr. Modi to Lord Rama, revered by pious Hindus as the epitome of a just king. Congress Party officials attribute their leader’s image to a malicious misinformation campaign on WhatsApp, Facebook and Twitter that portrays Mr. Gandhi as a bumbling man-boy unable to string together two coherent thoughts. They may have a point. In person, Mr. Gandhi comes across as thoughtful and well-mannered, though not particularly charismatic. Nonetheless, the damage has been done. Rehabilitating their leader’s image remains a long-term challenge for the party. In contrast, Mr. Modi and BJP President Amit Shah have stitched together a string of alliances with smaller regional and caste-based parties, including those led by politicians known to have misgivings about Mr. Modi’s imperious style of leadership. Add to this the BJP’s ability to shape the national narrative. The party and its ideological fellow-travelers use attack-dog TV channels, a shrill army of social-media shills and a web of fake-news sites and WhatsApp groups to impugn critics’ patriotism and discredit any message that clashes with the party line. Last month a petition signed by 108 economists and social scientists—including several based at U.S. universities—questioned “political interference” in official Indian economic statistics. A group of 131 pro-BJP chartered accountants responded quickly by certifying their faith in government data. International experts who question whether India’s February airstrikes in Pakistan hit their targets, or who play down the significance of an antisatellite-weapon test last month, immediately find themselves under attack from Modi supporters online and in Indian media. Experts point out that electoral bonds introduced by the government two years ago formalize opaque corporate funding that disproportionately benefits the BJP. The ruling party nonetheless touts the bonds as a major campaign-finance reform. In the long run, shutting down debate hurts India’s ability to learn from mistakes. For now, it adds to the BJP’s electoral edge. The Congress Party hopes that by promising grand welfare programs—including a minimum-income scheme to grant handouts of about $1,000 a year to some 50 million poor families—it can claw back power. But the BJP is selling a story that many people want to believe, of a resurgent India feared by its enemies and respected by its friends. Stopping the Modi juggernaut won’t be easy. Appeared in the April 5, 2019, print edition. This is the last in a three day focus on Incredible India. I was fortunate to have the opportunity to live , travel there, and love her amazing people. Most people will not have that opportunity but it is important other than happy memories for me. In just a few years, India will become the most populous country on earth due to the massive loss of life in China under the one child per family policy. 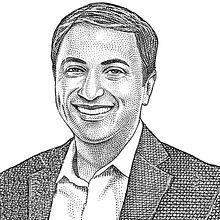 India has massive problems, without a doubt, but she also has intelligent, creative innovators with a spirit no passion for innovation, brilliant internet innovators ,and problem solving engineers, and gifted physicians. India has much good work to meet the needs of her 1.3 billion souls. She has the most educated 20 year old waiting, not too patiently, to tackle the problems of woman/man kind! 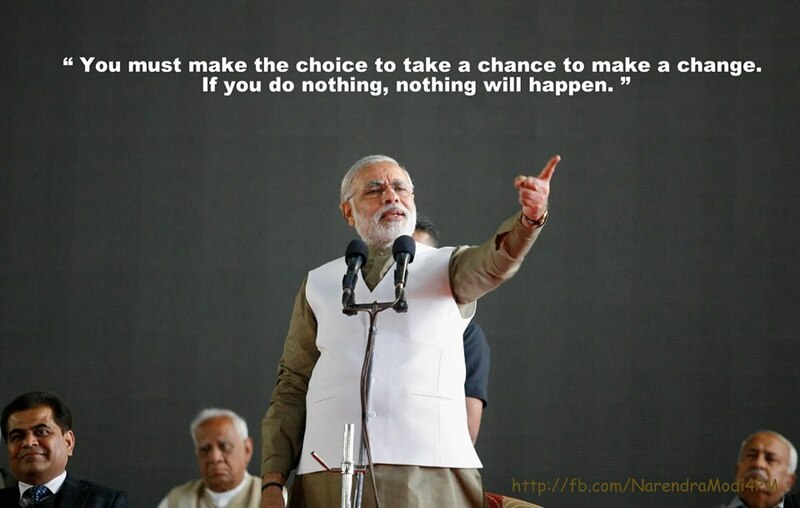 (Let me introduce you to PM Modi who is up for reelection in India beginning tomorrow. This post was before Mr. Modi’s first national election. I have written quite a few posts on Mr. Modi. If you would like to read them type in Modi in the search bar. I thought this one is the most interesting an introduction before either election !) Incredible India! Opinionated Man(aopinionatedman.com) is asking for posts from people who value the importance of voicing his/her opinion. So here sits this white, American woman talking about Mr. Modi, the current Chief Minister in Gujarat, India! Why you might ask? We stayed in Ahmedabad, the capital city of Gujarat, for four months. India is just on the precipice, poised to either soar to the heavens or continue in timidity while remaining under the control of a royal family! What, the British handed over the country in 1947, you might say? But when they left, the Nehru/Gandhi family was there to step in. More about them later. 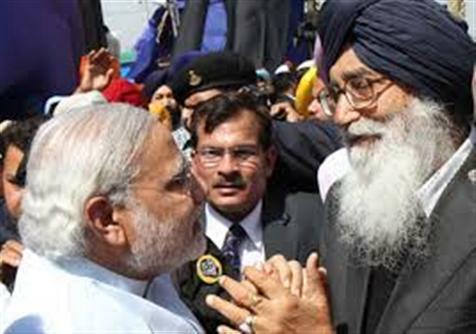 First, I want to introduce Mr. Modi to you. From the picture you can see his vision and though words are cheap, he has lived by them. He was born in Gujarat into a lower, middle class family. His first entrance into business was with his brother as teenagers running a tea stall near the train terminal. He worked his way up through the ranks in the pre-BJP. to the BJP of today. In 2001, he was ready to step into the failing shoes of Mr. Patel, and replace the inept administrator ,who was accused of corruption and abuse of power . Mr. Modi believed in privatization, capitalism, small government, and this began his rise to “rock star” status. In. 2002, there were wide-spread anit-Muslim riots in Gujarat. Radical Muslims had burned a train of Hindu pilgrims and this began the riots. Mr. Modi has been accused of turning a blind eye to the Muslim persecution, but a court has ruled that he was not complicit in these horrendous crimes. The accusations have continued and the US has denied him a visa for a visit several times because of demonstrations here. In America, I thought someone is considered innocent until proven guilty? I wonder what will happen if he is appointed Prime Minister? 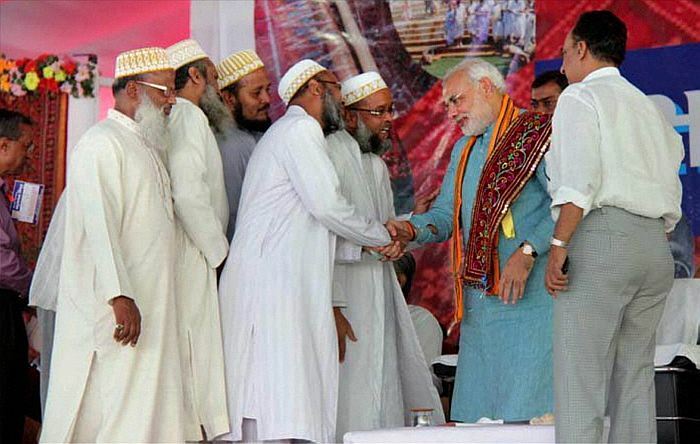 Since 2002, there have been no more anti-Muslim riots in Gujarat. In the mean time, Glittering Gujarat has begun to shine in India and the world under his leadership. He has been elected three times by his constituents and there is evidence as to why. Gujarat is the fastest growing state in India, the economy is the fastest growing in India, best IT area ( Mr. Modi is quite proud that all his police are computer literate), and in a country where place after place that we visited had blackouts of electricity, Gujurat is selling excess back to the company. I remember only once in all the time that we were there , a black out of only a few minutes. The agriculture profits have grown to 9.6% , the highest in this mostly agrarian country and he has a triving International Kite Festival and hosted an international conference on economics this year. One statistic that I was amazed at was that when Mr. Modi became CM, there were 11 colleges in and around Ahmedabad and now there are 42! It is being called the Boston of India. All those young people are poised to take on the world! Mr. Modi says that India has the largest population of educated youth in the world. ( China has the one child family planning policy.) The young people are energized and love Mr. Modi. He is their hope for positive change. Tourism is up 30% in two years thanks in part to the “Breathe in a Bit of Gujarat) beautiful professionally made commercials These promote tourist destinations and are narrated the beloved Bollywood star, Amatabh Bachchan who is set to film his third round of promotions. Mr. Rahul Gandhi appears distant and disinterested on TV. He has made no major contributions to the country and is merely waiting his coronation,unless the people of India have had enough of this family and their lack- luster contributions to the country. India continues the Parliamentarian form of elections so there is no direct election of Prime Minister, as is the case in Britain. During the horror and tragedy in Uttarakhand this year, the government and many of the the states sent food and supplies in large buses , not thinking that roads were no longer accessible or even there. Mr. Modi sent helicopters filled with supplies and saved many stranded , hungry souls. Naremdra Modi is a smart, seasoned politician. He has vision and the will to carry it out with hard work and determination. He has a proven record in Gujarat as charismatic, a vibrant eloquent speaker, and a leader to give hope and tools to the youth of India. He may be a Rambo, sometimes in style, but his state loves him and what he has done to bring prosperity to all Gujarati citizens. 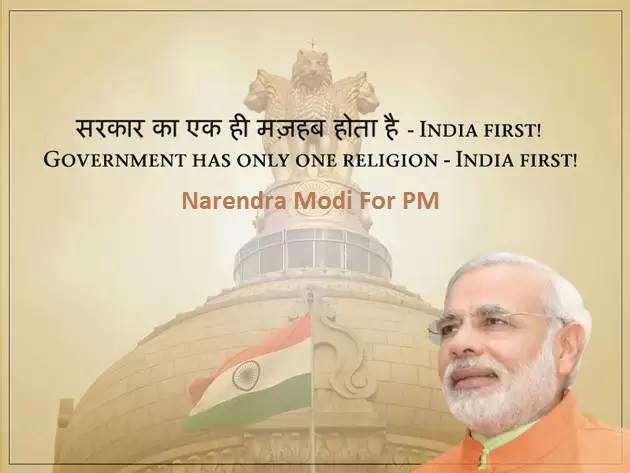 He is ready now to take his “Modi Model” to the whole country and be the leader for all of India. India is ready to become a leader in the world but they need a strong leader to guide them. Namo Modi is the man! Namaste. . . . This is Incredible India! National Elections in India are coming beginning on April 11 and ending on May 19. Imagine, there are nine phases and yes, people stand in line for hours to cast a vote. Then they soak a finger in dark ink to verify their responsibility has been completed. In 2017 there were 1.339 billion souls in Incredible India. An Indian friend told me that voting is very important to the poorest of the poor. . . the Daliet or Children of God so named by Mahatma Gandhi. It is the belief in India on voting day that everyone is equal with one ballot .! 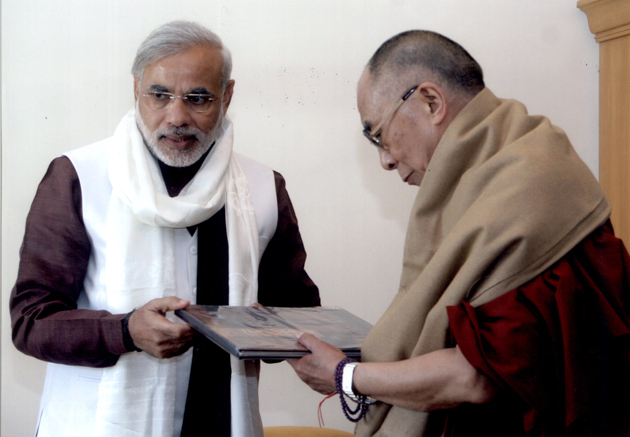 Blessings to India on this momentous election! 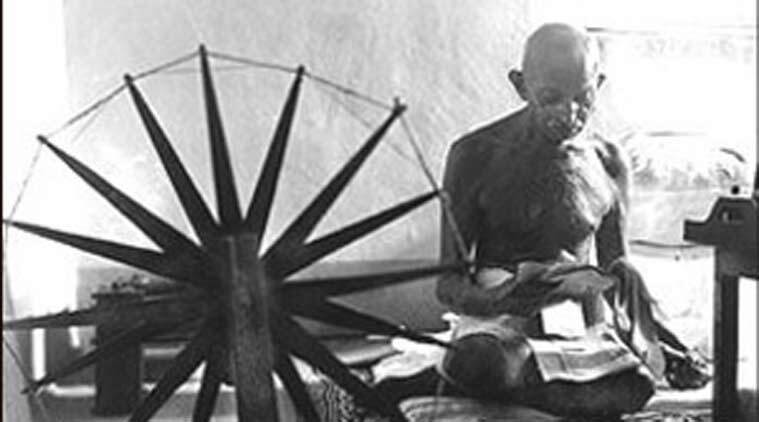 Sunday is a perfect time to visit Gandhi’s Ashram in Ahmadabad. In fact any day in the midst of the hustle and bustle of this crowded center of commerce, stop by to breath deeply and take in some serenity . On the weekends there are many families having an historical outing with their children. There are often large groups of school children on a field trip to a historical site. Indians are very proud of their culture and history and rightly so. teachers take their students on field trips on weekends. Great idea. In the video notice the amazing open building which is the center of the Ashram. It is the museum building where “things” would normally be housed and put on display. Gandhi had no “things”, he had only words and ideas which are on display as you wonder in and out of the open building. Oh yes, and there are pictures of his demonstrations and marches. Gandhi and his wife lived here for many years and it is said that here he planned the March to the Sea which is often referred to as the beginning of the journey which lead to freedom from Britain. The video is long so watch as much as you like. I thought it the best and couldn’t bear to choose a shorter one! College students in blackface aren’t just confined to yearbooks from 35 years ago. Administrators around the country are finding more instances as they flip through the publications’ pages, and confront images elsewhere on campus as well. A student at Massachusetts-based Tufts University posted on Instagram a photograph of herself in blackface in January, an incident still under investigation. Also in January, two female University of Oklahoma students issued public apologies and left the school after one of them appeared in blackface and used a racial slur in an online video recorded by the second student. Last year, California Polytechnic State University, also known as Cal Poly, suspended fraternity and sorority activities after two sets of racist photos were published online, including one in which a fraternity member dressed in blackface. “This video signals to me that we have much more to do to create an environment of equity and respect,” said University of Oklahoma President James L. Gallogly at the time of the recent incident. A few other highly publicized instances of blackface have heightened awareness of the persistent problem. Fashion house Gucci has apologized for being insensitive after pulling a sweater that critics likened to blackface, while Florida’s secretary of state resigned last month after photos were published showing him in blackface at a 2005 party. Colleges regularly appeal to students to consider whether their Halloween costumes are offensive, to avoid such controversies. After a racist yearbook photo sparked a Virginia political scandal in recent weeks, school administrators are also going back over publications from prior years. American University library staff and faculty recently reviewed old copies of its yearbooks dating back to 1926. They said Monday that they had uncovered 15 photos, cartoons and drawings from 1934 to 1981 that were of concern. They said the school will coordinate educational programming about the images. 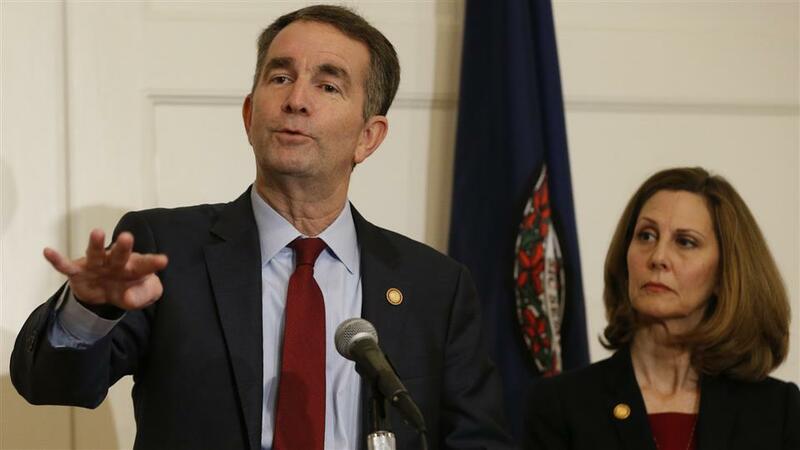 The scandal roiling top political leaders in Virginia was triggered by the emergence of a racist photo on Virginia Gov. Ralph Northam’s 1984 medical-school yearbook page in which one person appeared in blackface, alongside a person in Ku Klux Klan attire. Mr. Northam first apologized for being in the photograph. But later he denied he was in it, though he admitted to darkening his face with shoe polish in a 1984 dance competition. Virginia Attorney General Mark Herring also admitted to wearing blackface in college. Yearbooks are often student-run operations, published independently. Schools have struggled with what to do when racist images appear in them. Eastern Virginia Medical School, which Mr. Northam attended, discontinued its yearbook in 2013 when a photo with Confederate imagery was published. After the photo on Mr. Northam’s page emerged, the school ordered an investigation into how the yearbooks were overseen. Since the Virginia scandal broke, decades-old copies of yearbooks from the Virginia Military Institute, the University of Richmond and elsewhere have been posted online depicting students dressed in blackface and wearing Ku Klux Klan costumes, among other offensive images. A 1979 University of North Carolina at Chapel Hill yearbook photo posted on Twitter last week showed two students dressed as Ku Klux Klan members, with a third in blackface smiling as a noose is hung around his neck. In 2015, the Kappa Alpha Order, a fraternity with a large presence on Southern campuses, updated its bylaws to say chapters shouldn’t sponsor events with the name “Old South,” a reference to themed parties where members and their dates donned antebellum attire. The rules also bar the use of Confederate uniforms. Kirt von Daacke, an assistant dean and history professor at the University of Virginia, is reviewing student and alumni publications dating back to 1865 as co-chairman of a commission examining the university’s history during segregation. The commission was created last year. He said he has found a few instances from the 1970s and 1980s of students darkening their skin for Tahitian and Arabian Nights-themed parties in yearbooks but hasn’t completed his review of publications from more recent years. Dr. von Daacke cautioned that his findings so far don’t mean there weren’t still racist events on campus. “Yearbooks aren’t who you are, they’re who you want people to think you are,” he said. In recent years, offensive images have mainly moved from yearbooks to YouTube and Instagram. At the time, Tufts University President Tony Monaco condemned the image. “Blackface has a long history of being used to demean, belittle and objectify people of color in the United States and worldwide,” he said in an email to all students and staff.
. I remember one Halloween not so long ago when a member of the royal family of Britain dressed as a Nazi . The image was seen all over social media. When he was questioned, the young prince said he had not thought his actions through. Seems hard to imagine as much as the Brits went through in WWII, that that he would be so thoughtless. We all need to learn about and from history so as to not repeat past evils. Below is the link to my blog about growing up in the Jim Crow South. My friend Page forwarded this article from the Washington Post. Walls or ” the wall” are so prominently in the news making this a most topical article. Gandhi’s march to the sea is mentioned and I have seen pictures in the Gandhi Ashram in Ahmedabad in Gujarat (map) where I spent a majority of my time in India. Gandhi lived and planned his strategy of nonviolent protest in this peaceful place. Humans are territorial creatures and need barriers to define their turf, identify with their tribe and feel safe. History and the landscape are littered with examples of such obstructions, from medieval walled cities to the sinuous and fortified Great Wall of China. Life in communist East Berlin was so divine that they had to build a wall to keep all those westerners out. I once built a dry stacked garden wall, which I called Adrian’s Wall. It did not become a tourist attraction. One of the most bizarre human barriers in history was the Great Hedge of India, a living stockade that at its peak was reputed to have run more than a thousand miles from what is now Pakistan to south-central India. It existed for about half the 19th century, reaching its zenith in the 1870s. It has all but vanished from the Earth, and perhaps its true scale and presence may never be known. Author Roy Moxham spent several years in the late 1990s trying to establish its existence and then to trace vestiges of this oddity. His personal odyssey is recounted in “The Great Hedge of India,” published in 2001. The hedge ran along what the British authorities in India called the Inland Customs Line, which would snake 2,500 miles from the foothills of the Himalayas to close to the Bay of Bengal. It would be easy to think that a hedge of sub-continental proportions was a stroke of English horticultural and colonial eccentricity. But its purpose was not benign. The hedge, Moxham writes, was created by the British East India Co. — the de facto colonial power in India — to prevent smugglers from crossing into Bengal. The contraband in question wasn’t opium or hashish or arms. It was salt, a basic requirement for a healthful diet. The East India Co. and, later, the British state, imposed a hefty tax on salt and thus needed to control its supply and movement, indifferent to the suffering this caused among’s India’s poor. “It had been a shock to find that the great hedge was in reality a monstrosity; a terrible instrument of British oppression,” Moxham writes. Can a hedge be a true barrier? I remember taking my then-young children to a maze in an English garden and finding that they had found gaps in it to pass from one corridor to the next. This was annoying; how can you expect to get frightfully trapped in a maze if you don’t play by the rules? But this was an old yew hedge with holes. The barrier plants used in India were of much angrier species. In addition, the hedgerow was peppered with hundreds of guard posts and patrolled by thousands of sentries. Moxham described its perfected sections as up to 14 feet high, 12 feet wide and planted with such tropical trees and shrubs as carissa, acacia and the common jujube, each with nasty thorns. The Great Hedge was evidently difficult to maintain because it wound its way through different soils, climates and elevations. Large sections were of dead material with absurd maintenance needs. Most of the Great Hedge had vanished by the time Moxham began looking for it, even though hedges can live for hundreds of years. I remember being in a Dutch tulip field that was edged in beech tree cordons that had been planted back when windmills were leading-edge technology. Moxham, who lives in central London, told me by phone that it’s remarkable that the hedge “was so forgotten in such a short time.” The sentry path alongside the hedge became a convenient route for subsequent highways that obliterated much of it, he said. I find it satisfying that such a malevolent hedge has faded away, but what of garden hedges? I have come to admire well-grown hedges, which might be sorted into two basic types. The first form naturally tidy, compact but unclipped screens of trees or shrubs. Evergreen candidates include red cedars, laurels, Chindo viburnums, Japanese cedars and upright yews. Deciduous plants are effective, too: Upright hornbeams, hophornbeams, amelanchiers and even hydrangeas do the job. Scale and relationship to space are critical to success. Hedges that are sheared into geometric shapes require even more careful thought. The individual plants are typically planted close together and then shaped from an early age. They can look elegant in small urban gardens, green but architectural. Looks-wise, they can be too high and pretentious, or too rigid in an otherwise natural garden. The issues of cultivation loom larger. Success begins with the choice of plant and the knowledge that in hot, humid climates, the options are limited because of the extra stresses clipping puts on shrubs. The classic example is boxwood. When sheared, the growth becomes congested at the surface and impedes the type of air circulation and light penetration you need to reduce fungal diseases. If I were planting a clipped hedge in Washington, I would select such fine-textured evergreens as the yaupon or Nellie R. Stevens hollies, holly tea-olive (Osmanthus heterophyllus) or the southern wax-myrtle. Clipped hedges require effort and some skill to keep their appeal with a careful shearing at least once a year. Such hedges have fallen from favor but need a revival. Hedges as instruments of oppression deserve to perish, but those made and sustained with love are bound to succeed. After Mary Queen of Scots, I was so anxious to see The Favourite staring Queen Anne of England. Her reign was 1702-1714, She was the last of the Stuarts making her a descendant of Mary Queen of Scots. (1540-1567 ). This is not an historical movie but the story of a tragic and eccentric queen. She keeps 17 bunnies in her bedroom to remember the 17 babies she lost before or after birth. There is a duck race in the palace which gives Anne much joy as well. The film is hard to categorize whether comedy or drama. It seems to me that it is mainly about changing power and relationships between three woman, Anne, Abigail, and Sarah. In their struggle for dominance nothing is neglected in the telling but sometimes shocking to the audience. I came away from the film with some understanding of the personal pain of mad Queen Anne and gratitude to my ancestors for having fought for our freedom from Britain ! Oh yes, the music is magnificent Baroque of Handle,Vivaldi, Bach, Purcell, and even Sir Elton John on harpsichord. You can’t miss it as the volume won’t let you !